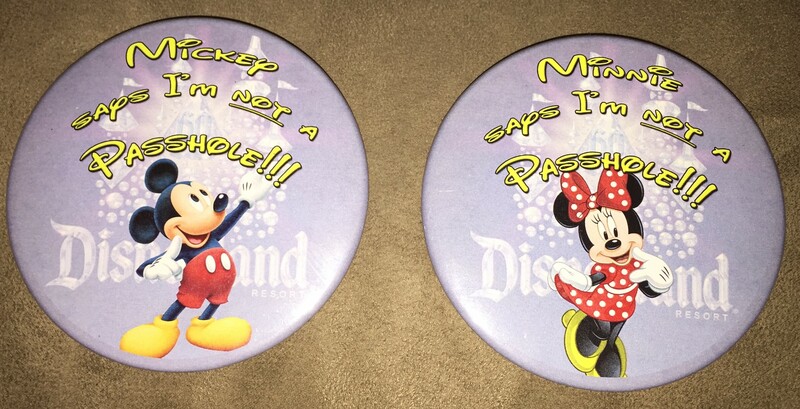 At Disneyland, you are given a pin to allow Cast Members and others to recognize your special event. Events such as birthdays, anniversaries, graduation and the like. 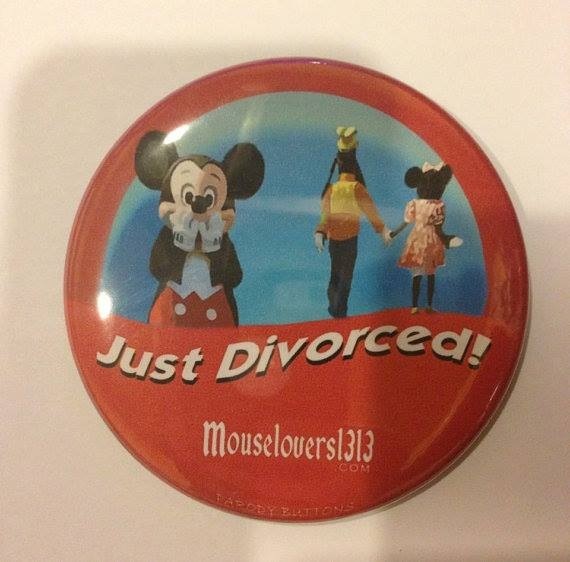 Somehow, i don’t think this pin has been approved by Disney.